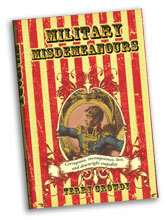 A selection of books with a slightly more military theme. 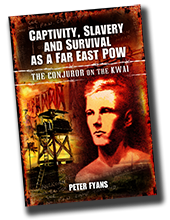 Captivity, Slavery and Survival as a Far East POW is the incredibly moving story of Gus Anckorn, a British soldier who was captured by the Japanese and held for over three and a half years. Before the war, Gus was a magician and throughout the war, entertained both fellow soldiers and Japanese guards with his tricks.Gus has a brilliant sense of humour and a 'tell it as it is' attitude which got him into a number of scrapes with both the Japanese and his own side. He has a remarkable humility to his character and is extremely endearing, both in the book and face to face guaranteeing massive media attention.Gus experienced terrible ordeals that no one should have to face. He should have been killed on four or five occasions, but remarkably survived due to quick thinking and good luck. Gus also reveals the heartache of leaving his fiancee behind and not knowing if he would ever see her again.This is an incredibly moving book and will surely be considered as one of the classic Far East POW stories. Gus is still alive and active today, very publicity focused and well connected. He still holds the unique claim of being the youngest ever member of the Magic Circle and is now currently their oldest ever member. He is also a member of the Masons. Gus has appeared on BBC TV when they arranged for him to meet a Japanese POW camp guard on the bridge at Kwai. The changing role of women in warfare, a neglected aspect of military history, is the subject of this collection of perceptive, thought-provoking essays. 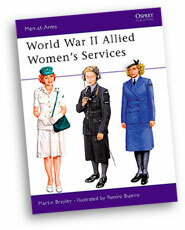 By looking at the wide range of ways in which women have become involved in all the aspects of war, the authors open up this fascinating topic to wider understanding and debate.They discuss how, particularly in the two world wars, women have been increasingly mobilized in all the armed services, originally as support staff, then in intelligence, and defensive combat roles. They consider the tragic story of women as victims of male violence, and how women have often put up a heroic resistance, and they examine how women have been drawn into direct combat roles on an unprecedented level, a trend that is still controversial in the present day. The implications of this radical modern development are explored in depth. 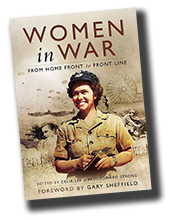 The authors also look at the support women have given to servicemen fighting at the front and at the vital contribution they have made at home.The collection brings together the work of noted academics and historians with the wartime experiences of women who have remarkable personal stories to tell. The book will be a milestone in the study of the recent history of the parts women have played in the history of warfare. 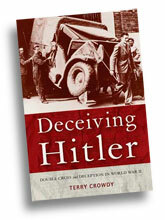 The 1940s Society had the privilege of hearing Terry Crowdy speak on the subject of this book and it was absolutely fascinating. This book goes into greater details and tells the intertwined stories of the development of Allied deceptions and the intelligence networks that enabled and supported them. 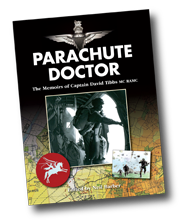 We have a LIMITED NUMBER of these books as they are SIGNED BY THE AUTHOR. 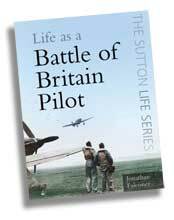 What was life like as an RAF Battle of Britain pilot? What was it like to fly a fighter? Who were the men that flew Spitfires and Hurricanes? How did they spend a typical day? Which was the better machine - Spitfire or Messerschmitt? What unique challenges did a lone RAF pilot face at 30,000 feet? The contribution of women to the Allied war effort in 1939-45 was massive. This book gives a concise introduction to the organisation and uniforms of these services, with an emphasis on the British and US forces. Lots of photographs with full colour detailed illustrations of the uniforms. 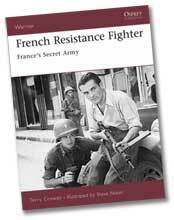 Terry Crowdy recently gave an excellent talk to the 1940s Society on the French Resistance and if you have an interest in this area of WW2 I would thoroughly recommend both this and some of Terrys other books available on this site. As always with this range of Osprey books they are well illustrated with photographs and colour artwork showing clothing and equipment. 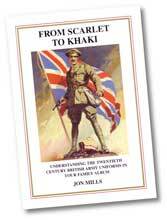 This book describes and illustrates most of the uniforms worn by the British Army and its associated services in the first sixty years of the twentieth century. Illustrated with 140 original photographs never before published, it shows and describes how uniforms developed from the turn-of-the century scarlet coat to the utilitarian khaki service dress and battledress worn in the two world wars. An excellent book for anyone interested in identifying and dating the uniforms worn by their own or others' ancestors. 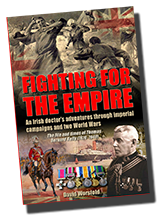 In Marching to the sound of Gunfire, scores of British soldiers from almost every echelon of the British Army tell their amazing stories of life - and death - at the sharp end. 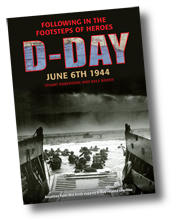 In the eleven months of frenzied warfare that followed D-Day, these soldiers successfully drove the Nazi hordes back into their Fatherland and beat them into surrender. 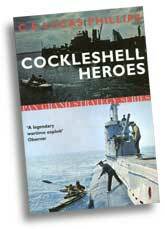 The full range of the submariner's experiance is here in this gripping eyewitness account. 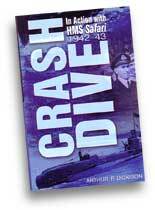 Crash Dive is a unique and important historical record of life on board HMS Safari during WW2, based on the diary of leading telegraphist Arthur Dickison. 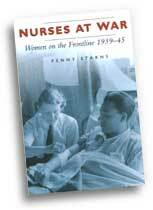 The wealth of original research conducted by Penny Starns provides readers with a graphic insight into the lives of Britain's nurses on the frontline in the Second World War. 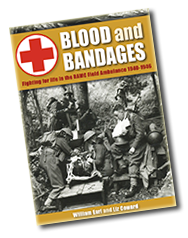 Believing that their skills would be of most use to the wounded if they were working in operational areas, these 'frontline females' suffered the violent consequences of war in much the same way as their male counterparts. Their vivid oral and written testimonies also reveal how they fought a parallel struggle to achieve recognition for their professionalism in a largely male-dominated medical profession. 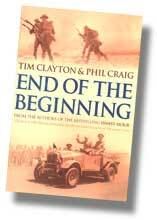 Tim Clayton & Phil Craig continue the stories of some of the men and women first encountered in Finest Hour, and introduce a number of new characters, Woven together with the skill that made Finest Hour so evocotive and moving, these first hand accounts of ordinary people in wartime create an unforgetable portrait of the human spirit under duress. In october 1942, chief of combined operations Vice-Admiral Lord Louis Mountbatten unveiled the outline plan for operation Frankton - destined to become one of the bravest, most courageous and imaginative raids of the entire war. 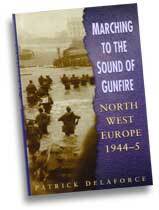 The factual story of a legendary wartime exploit.